Is God green Did Jesus have anything to say about the environment With over 1,000 references to the earth in the Bible, the message is clear. All of God's creation-nature, animals, and humanity-are inextricably linked to one another. As creation cares for us, we too are called to care for creation and engage in the work of healing and sustaining it. 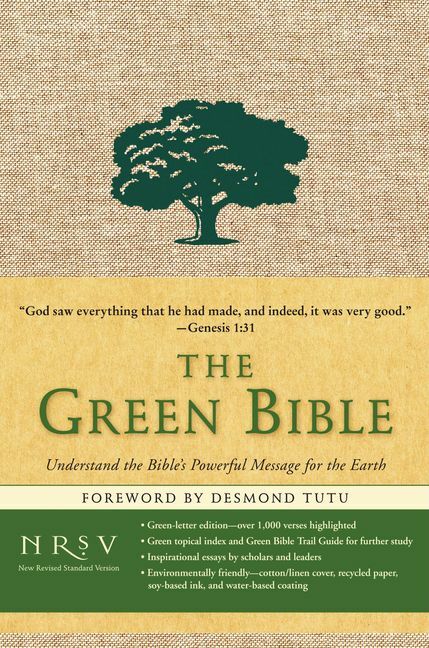 Read the scriptures anew with The Green Bible as your guide and discover how caring for the earth is not only a calling, but also a lifestyle. Published in partnership with Our Sunday Visitor Curriculum Division, the leaders in Catholic publishing for youth.